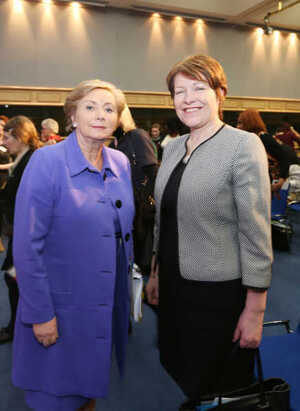 With Brussels in lockdown Justice Minister Frances Fitzgerald spoke with a hawkish Audrey Carville on RTÉ Radio One at lunchtime today touching on terrorism and the capabilities of An Garda Síochána to deal with the same. Posted in Misc and tagged Audrey Carville, Frances Fitzgerald, News At One, Terrorism at 4:45 pm on November 23, 2015 by Broadsheet. Once you start picking up how often Fitzgerald uses ‘clearly’, ‘obviously’ and ‘of course’ you stop taking her seriously. Terry Proned to within an inch of her life. “A number of sources have said that neither section has members who can speak or read Arabic, posing obvious limitations: from monitoring Arabic communications — both online and in phone taps — to reading any Arabic documentation. It also limits their ability to talk to people on the street and during interrogation. The latter results in the State spending money on interpretation services, which can also affect detention periods for suspects. Both the London Met and MI5 have no shortages in this area and MI5 recruits civilian language specialists. But some sources within the units here play down the affects of not having Arabic speakers, saying they converse with people in English. They said S&I have the use of expertise outside the force or through Interpol. [A] bullet sounds the same in every language Nelson Madela 1933 – 2001 Stewie Griffin. 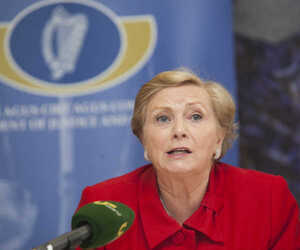 Fitzgerald states several times ‘if the information was available’ – as if it drops out of the sky and onto her lap. What an excuse not to make a decision. Go out and find the information you copper-outer! 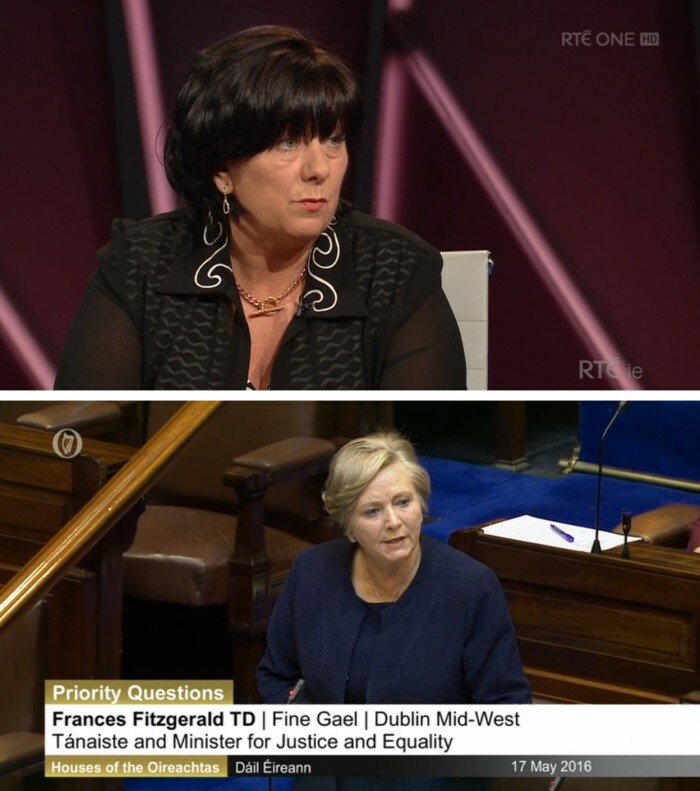 Surely Simon Covney – the Minister for Defense – would sit in on such meetings with gardaí? Cause, you know, men’s work and all that! its the farce of the iodine tablets again. Ireland is NOT prepared for an attack like the recent Paris one. Our Government is assuming that we are not a target, but if the Daesh or whatever they call it run out of options in mainland Europe because of the amount of Armed Police and vehicles patrolling their cities, they might turn to an easier target because they don’t give a damn where they attack. The Irish Government is prepared for nothing! And the Garda Are severely underfunded and stretched. They can’t even handle Dublins scummy ASBO kids nevermind terrorists. Ara sure ders no votes in Kiltafeelyballybrit fer desh. If Daesh are in pursuit of making headlines, aggravating anti-Muslim sentiment, wielding destruction and attacking so-called Western cultures then Dublin is just as much a target as any other European city. i think you may have stumbled upon the solution to our problem. if we can somehow get the muslim kids into petty theft, drug taking, illiteracy and early pregnancy like our own kids, sure they’ll soon realise their values are a fallacy like our own and then we can all get along, unified in our despair at the next generation. “speech to text” engine monitoring calls, job done. All of our Ministers are faces only. They don’t form policy or genuinely control their briefs. They’re little more than the nameplate on the department door. They are chosen based on their belief in and compliance with whatever ideology is driving the motives behind a particular department. Varadkar and privatization, Coveney and joining NATO. Sutherland decided that Coveney would be minister for health and probably Taoiseach after he’s done that. Your votes don’t mean anything if you keep voting FFFG. They are entirely corrupted. Geography also plays a role. Mr T I think you might be right , but the politicians rather than ask us have decided that we are going to play the same ‘sport/game’ as most of the rest of Europe the US and most of the rest of the world , and I think thats fair enough, it would take a huge groundswell of activism for politicians to move away from globalism/capitalism , biased support of a certain middle eastern country. I really would like it if our Government could say , Hey Britain , America , France and Germany, we really like you guys and benefit hugely from trading with you but the amount of arms you sell, and who you sell them to , and this attitude of intervention in the world when your ‘interests’ are perceived to be threatened makes us really uncomfortable. And they would say ‘fine we’ll take our business elsewhere ‘ and Ireland would shrivel up like a prune in under 24 hours. And that would surely be uncomfortable. This is exactly why it’s so terrible tedious to listen to the media browbeating Minister X or Y about what are YOU doing about it and what can YOU guarantee, Minister. Personalised to the point of uselessness. There you have 2 state employees doing their very best to support the Gardai and actually achieving the opposite …. Perhaps they think structuring a plan and a strategy would be bad luck? Or they’re waiting to see what the Brits do (as per usual). Acts of terrorism include a wide variety of activities including, but not limited to, bombings, shootings, kidnapping and malign CBRN. An Garda Síochána and the Defence Forces provide the Government with an assessment of the current security threat. There is little to no threat to Ireland from ISIS, because dem ISIS lads know that if they pulled any stunt we’d send some North Kerry hurlers around to bate the sh*te out of em. Is it time to take my iodine tablets? When there’s not someone to give you the back of their hand, reach for Joe Jacob’s Disco Biscuits. All this with absolutely no proof that this was Islamic fundamentalists. Yeah, sure, we’ll just take ye’re word for it. What kind of proof are you looking for here exactly…Funny thing is terrorist groups do own up to their poo because they do it for a political reason. They’re not worried about being ‘caught’ that’s the point. So why would ISIS claim it? Remember the Boston marathon bombing Al Qaeda was all like ‘ hell nah that wasn’t us. Pressure cookers for reals? This is poorly planned and unorganized. No we don’t run with these dudes’ that’s not a direct quote but pretty much what they said. Our way of dealing with the IRA was through informants. How many ISIS informants does Special Branch have? We depend on getting tip offs from other states. A country of our size and nature is a soft target. It’s also a low value target. The probability of an attack on Ireland is – relatively – low. That doesn’t mean that we should not be at least somewhat prepared. 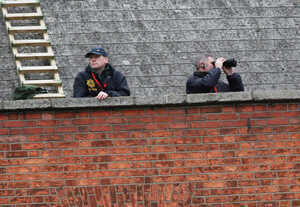 The Gardai put much, much more effort into spying on water water protesters than they do on ISIS. Clearly Paul Murphy and co are minutes away from launching suicide attacks at the 02, Croke Park and Newgrange. The ISIS attacks in Paris were planned over unencrypted sms, Facebook and the bomber himself gave an interview in English saying he was going to attack Paris. what makes him think some of the major powers have fantastic intelligence services. Thought it was a brilliant interview – finally an RTE journalist with the balls to ask the hard questions instead of fawning over Ministers as RTE normally do. Frightening that this woman is Minister for Justice – had better pray we’re not attacked, if we’re relying on her to prevent same or coordinate a response we’re all fooked. We’re not relying on her to do anything. 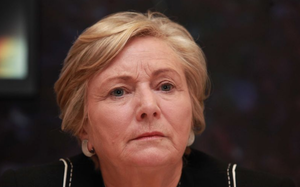 Despite her ineptitude the garda and military intelligence units are all over any people of interest and have been since their arrival into the country. Almost all Jihadist terrorists in Europe were already known to police and most were dysfunctional drop outs with criminal records. Many were under surveillance. There is a good case to suggest that some western intelligence groups are radicalizing these men, filling their heads with rubbish about causes and heroism and sending them off with explosives strapped around them. Their ‘leaders’ are never seen or caught or blow themselves up. The point of it all is to destabilize Europe, North Africa and the Middle East (the EMEA economic zone) and subvert democracy, impose pseudo-marial law and control the rights and movements of the populations. And why? To hand power from the people to the political and business elite so they can operate without the restrictions of sovereign laws (take TTIP for example). This terrorism is not at all what it appears to be. It’s being orchestrated at an international level by governments, elected representatives, some of whom know exactly what is going on. And before the lazy obvious jeering half-wit tin foil comments, just remember you need to read as much as you can, watch patterns, watch who is being placed into positions of power and who is doing it. Already you can see the newspapers are corrupted and full of misinformation. It’s easy to be lazy and let it all happen and not challenge it. Those people are the ones who draw their own demise upon themselves. So what is the case to suggest this? Well said, that man. High praise. Wait, there’s someone at the door…………..
Ooops, it was Mr T I was high-fiving.